Most of our spaces come with a meal plan requirement, however, any student is eligible to have one! A variety of meal plans allow you to select one based on your needs. As you plan out your campus experience, we know that a variety of nutritious and delicious foods are very important. On this page you will learn more about dining options, meal plans, processes and more. Dining Services strives to support the local community and you by providing locally sourced ingredients. Dining Services provides the most updated information on dining locations and hours. Please note that dining hours may vary during university break periods. For the most updated on campus dining information, please visit the Dining Services Website. For a list of winter break hours at all campus dining locations, please visit the dining services website. 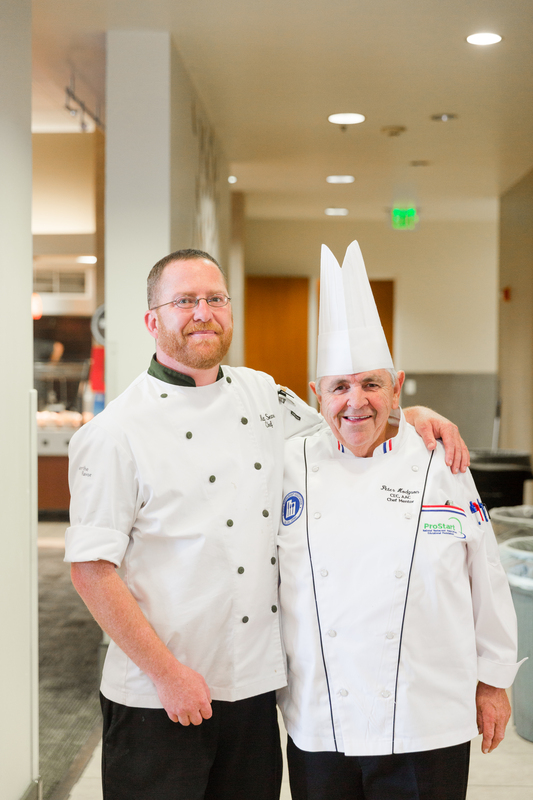 We love Chef Peter and our Dining Services Team who work to make dining an incredible experience while living on campus! For most, we have a solution! In the Peterson Heritage Center Dining Room, there is a special line called G8, where meals are prepared without the 8 most common allergens: dairy, eggs, fish, shellfish, tree-nuts, soy, wheat/gluten. Our team of chefs work to do their best to avoid cross-contamination, but they cannot guarantee that the meal will be 100% allergen-free. Students will also find a Vegan focused location in the Dining Room that is prepared by our dedicated vegan chef. In Lassonde Studios, there is a vegan option at the Miller Cafe as well. If you are requesting an accommodation for the meal plan, please complete the Meal Plan Accommodation Request at the bottom of this page. Find the latest meal plans and all the great places to eat on campus here! 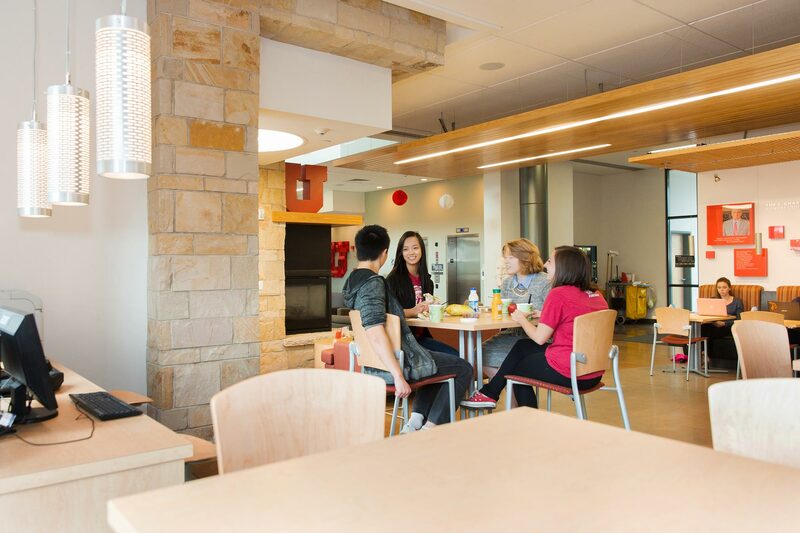 Dining Services provides students a large variety of places to connect with friends, faculty, and staff over a meal or a drink. Want a direct link to the residential dining hot spots? We understand the importance of convenience as you plan out your schedule for the semester, including where you are going to have your meals throughout your day on campus. In an effort to provide greater accommodation, meals will be able to be transferred as outlined below. What is a meal transfer? A meal transfer is when you can utilize a dollar value of a meal from your meal plan at another location on campus to purchase food and drinks. If food and drink purchases are over that amount, residents can use flex dollars, dining dollars, cash, or debit/credit for the remaining amount. Which meal plans have meal transfers? (The Lassonde Studios meal plans are declining balance plans and can be used at all Dining Services locations). What is the meal transfer value? You are able to transfer a meal by selecting up to the dollar amount below in food and drink purchases only; there are other items sold in the Honors Market that are not food items, such as toilet paper, soap, laundry detergent, and medicine, which are not included in the Meal Transfer Program. *The typical ticket price for meals was utilized to identify the meal transfer rate. Where can I transfer a meal? When can I transfer a meal? Students will be able to transfer one meal per meal period to another location, while additional meals within that meal period can be consumed in the Peterson Heritage Center Dining Room. The Lassonde Cafe and Honors Market are open 24-hours a day so the meal periods have been identified to take into account the 24-hour operation. An example would be if you use a transfer meal at 6:00am in the Marriott Honors Community and then wish to have a later breakfast in Peterson Heritage Center Dining Room you would be able. You would just not be able to have a later breakfast in a venue other than the Peterson Heritage Center Dining Room. We hope you enjoy this new benefit of your meal plan! 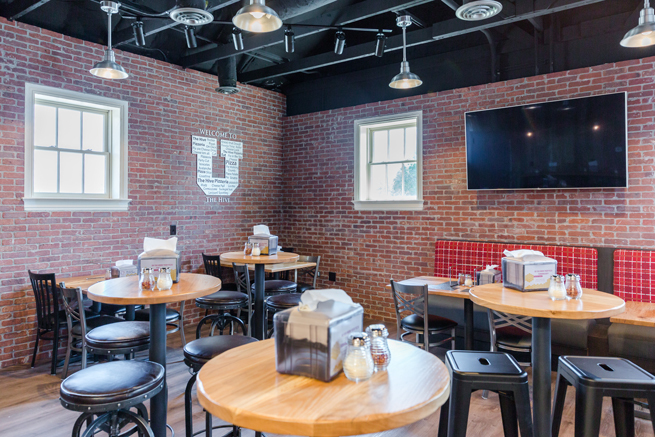 The Hive Pizzeria is now open and is the newest late night hangout on campus! Open Monday-Sunday 7:00 p.m. – 2:00 a.m. The Hive is a great place for students to come and get a late night snack. Transfer Meals are also accepted here! Meal plans are required for all students living with us in the residence halls (Chapel Glen, Gateway Heights, Officers Circle, Sage Point, and Lassonde Studios residents in singles and doubles). If, however, you have food allergies or follow a special diet for medical or religious reasons, we are happy to meet with you to discuss your concerns, look at options, and determine the best solution regarding your meal plan. You may be referred to a member of University Dining Services to discuss options and see if any type of adjustment can be made. Accommodations are adjusted on the date that the accommodation is approved from the Disability Services & Access Office and are not typically retroactive prior to that date. Please complete the following form and submit it online. Once HRE has received it and been able to review it, a member of our team will reach out to you to discuss your options. PLEASE NOTE: If you are wanting to adjust your meal plan type only, DO NOT complete this form. You will be notified on how to adjust your meal plan at the beginning of each semester. Residents are able to change their meal plan only one time each semester. This opportunity is during the first week of the semester. The period for accepting meal plan change requests is no closed. If you wish to change your meal plan, please wait until the next academic semester. If you are currently signed up for a meal plan and live in an apartment and no longer wish to have a meal plan, fill out this form below. Please note that when you cancel a meal plan within Heritage Commons & MHC, you agree to forfeit all unused Flex dollars and remaining meals at the time of cancellation. When you cancel a meal plan within Lassonde, you agree to forfeit all unused Lassonde dollars at the time of cancellation. Yes, please cancel my meal plan. Please note, students in residence hall style rooms are not eligible to cancel their meal plan.